This stunning couple nestle together perfectly creating a striking luxurious Baroque inspired show stopper. 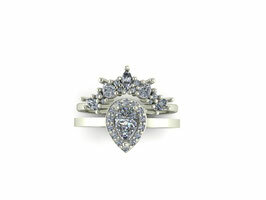 Beautifully set in 18 ct Fairtrade white gold. Using fabulous E VSI diamonds.